Catch up tv on Tour De France 2012 - Wiggo's Tour. Coverage of this year's Tour de France. Highlights of the close of the Tour de France. Highlights of this year's only individual time trial. The final day of climbing in this year's Tour. Sandwiched between two climbing days, this is a flat stage. Stage 17 is a 65km dash in the mountains. 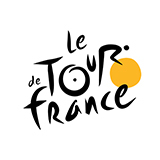 Episode 17 of the TV-show Tour De France was broadcast by ITV4 on Monday 23 July 2018 at 23:59. Episode 16 of the TV-show Tour De France was broadcast by ITV4 on Sunday 22 July 2018 at 21:08. Action from the 188km 14th stage of the tour. After three days in the Alps, the Tour leaves the mountains.